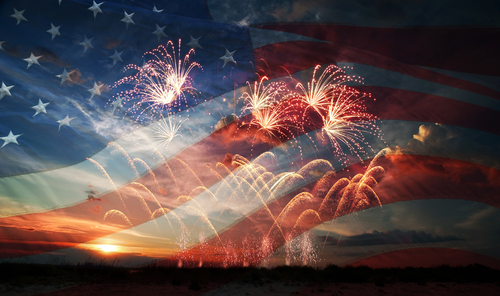 Last time we spotlighted two major Fourth of July events happening right here in South Florida. If these didn’t interest you or if you want to explore additional places to celebrate Independence Day, here are a couple of additional options. Food trucks, activities for kids, and live music are just a sample of what you can expect to enjoy at the Race to the 4th Annual Independence Day Bash in Homestead. Optional VIP tickets are available which come with several extra perks including preferred seating for the best view of the fireworks which will be synchronized to appropriately patriotic music. The city of Doral is also hosting its own Independence Day celebration beginning at 6 pm in Doral Central Park. The event will culminate in a grand finale of fireworks being called “America Through the Decades” starting at 9:20 pm. The 4th of July Picnic & Fireworks in Coconut Grove consists of a series of celebrations happening around the neighborhood like the Old Fashioned Picnic at The Barnacle, the hot dog eating competition, and the fireworks show happening at 9 pm on Peacock Park. Next week we will once again celebrate Independence Day. This year the date falls on a Monday which means a much needed extended weekend for most people. If you aren’t traveling and have yet to make any plans for Fourth of July, there are a few suggestions worth considering right here in Miami Beach and neighboring Miami. The Fire on the Fourth Festival begins bright and early at 11am and is an all-day event culminating with a fireworks display at 9pm. Have a meal at one of the food trucks, enjoy live music and DJs, plus much more. The festival is taking place at North Shore Park Bandshell on 73 Street and Collins Avenue. If you want to see some of the best fireworks displays, you want to head over to America’s Birthday Bash which begins at noon. There are activities for the kids like a “kid zone” and petting zoo and you’ll also enjoy live music, food and beverage, giveaways, and of course the large fireworks display. The festivities continue ‘til midnight. South Beach may be considered the apex of South Florida hotspots, but there is much more to explore this summer than just the famously popular area on the barrier island of Miami Beach. Check out the Brickell and Overtown areas just beyond the MacArthur Causeway and you’ll notice lots of notable sights on the Miami River. East, Miami is one of the newest buildings to open in the Miami River District and is notable for its uniquely bright architecture. You’ll find 352 rooms plus a great restaurant on the ground floor called Quinto La Huella serving up Uruguayan-inspired beef. 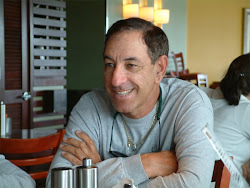 For some more great dining, check out Seaspice on North River Drive. 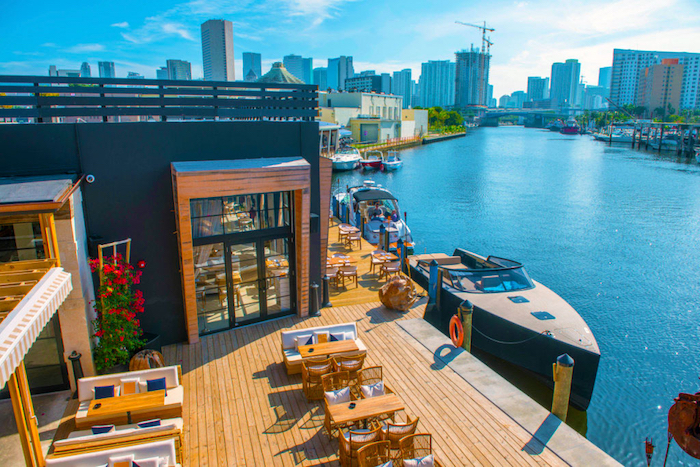 The nautically themed eatery is found within a renovated warehouse along the river and it’s not unusual to see guests arriving by boat. If you can’t make it for dinner, there is also a fantastic brunch. El Tucán on First Avenue is a throwback to the classic days of Havana and has a strong Cuban classicism vibe. The nine-course Latin flavored tasting menu is perfect for large groups and there is a Cuban cabaret from the 1940s performed live. When it comes to great seafood, Miami Beach is certainly one of your best bets. With restaurants like Joe’s Stone Crab continuing to serve great meals for decades, it’s one of the many places to enjoy some delicious seafood. The city is also well known for its fantastic Peruvian restaurants serving ceviche, the famous Latin dish consisting of fresh raw fish cured in citrus juices, such as lemon or lime, and spiced with ají or chili peppers. If you’ve yet to try ceviche, you may want to visit South Beach’s My Ceviche on Washington Avenue. The former hole in the wall is now a culinary giant with a number of locations offering ceviche in a variety of options. CVI.CHE 105 is another Miami Beach-based option found on Lincoln Road and it remains the top option for those who consider themselves “ceviche connoisseurs”. 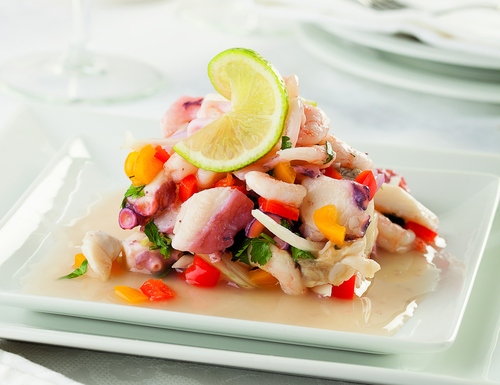 It’s the perfect option for those who’ve yet to try ceviche and want to start with some great recommendations. The menu is particularly good for those looking to sample and share. This past Tuesday marked the 241st birthday of the United States Army. The Army birthday is meant to honor none other than the American Soldier who is always ready and always leading. Among other duties the American Soldier serves as the cornerstone of the Army profession and maintains the trust and confidence of the American people. The Soldier is always prepared to deploy and he or she is also responsible for serving any occupational specialty as needed by the U.S. Army. Since it was established on June 14, 1775, the Army continues to support its soldiers in educational, credentialing and healthcare services and the soldiers remain valuable members of civilian communities, working as leaders and professionals in a variety of organizations. It is important to commemorate the Army’s birthday not only to remember its rich and illustrious history, but also as a means of taking a look into what the future holds for the United States. Thanks to the efforts of Soldiers, families, and civilians, the nation is ready today and prepared to address what may come tomorrow. The week begins on a somber note after Sunday’s devastating mass shooting at Orlando’s Pulse nightclub where at least fifty people were murdered and over 53 were wounded by a gunman in what is now the deadliest mass shooting in the country’s history as well as the deadliest incident of violence against LGBT people in the United States. Although the shooting is horrific, the country continues to stand united and there has been an endless outpouring of strong support from LGBT and non-LGBT people alike doing what they can to help, such as donating blood. 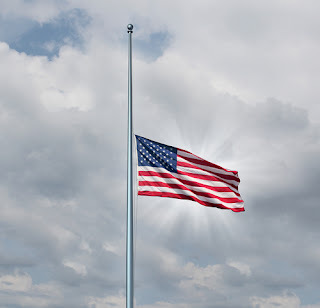 If you wish to help, you can donate to the Pulse Tragedy Community Fund at the following link: https://www.gofundme.com/29bubytq or the Support Victims of Pulse Shooting which has already generated more than $1.6 million in funds: https://www.gofundme.com/PulseVictimsFund. If you live in Orlando you can also donate flowers or memorial items at the Dr. Phillips Center for the Performing Arts located at 445 South Magnolia Avenue. Those looking to donate blood can call 1.888.936.6283 to find a local place to donate. Can you remember the last time you took some time out to pamper yourself and just give yourself some downtime to relax and revitalize? If you’re stressed or need to ease those tense muscles you’ll be happy to know that July 1st marks the beginning of Miami Spa Month, a time when many spas throughout Miami and Miami Beach will be offering services at great discounts. Over at the Fontainebleau, the Lapis Spa is already well-known for its excellent hydrotherapy pools and it will be offering a selection of 50-minute treatments as part of its Everyday Relaxation specials. Enjoy an aromatherapy or aloe massage or a triple cleanse facial. One of the newest spas in Miami Beach is at the upscale Tierra Santa Spa. The strong South American ambiance is the perfect relaxing backdrop for its massages that includes deep tissue. You can also opt for its “Hyper Customized Biologique Facial”. The spa at Carillon Miami Beach offers up more than massages and facials. The Personal Training + Thermal Experience package includes a personal exercise program focused around strength, flexibility, and weight training. You’ll have until the end of August to enjoy the Miami Spa Month discounts. Chances are these places will quickly get booked so make sure to set up your appointments early! Back in the early 20th century, cabaret maintained a strong degree of popularity before interest dissipated in favor of nightclubs. Right here in Miami Beach, nightclubs have also dwindled somewhat, with longtime favorite Mansion closing its doors last year and forcing residents to seek out bars and gastropubs. However, frequent barhopping can get tedious and this is one of the numerous reasons that have lead to the opening of C’est Rouge! C’est Rouge! (French for “It’s Red!”) is an original cabaret-inspired musical production taking place at the Faena Theater inside the elegant Faena Hotel. The celebration of desire and sensuality is a fusion of dance routines and vignettes set to Latin American, jazz, and R&B rhythms put together by Alan Faena himself and acclaimed Spanish choreographer Blanca Li. The show features dancers, actors, and even acrobats in a chic setting that includes décor like chandeliers, velvet, and gold leaf. C’est Rouge! began last week and will continue to run throughout the summer every Friday and Saturday night at 9:30 pm. Tickets cost $45 and are available through Ticketmaster and you can read more about the show on the Faena website. It’s the first week of June and a new opportunity to take a look at this week’s best fishing bets here in Florida. We’ll kick things off with Haulover Inlet where five to twenty pound kingfish have been quite active during the morning hours at 100 to 180 feet of water. These depths are also seeing lots of activity from fish like bonitos, sailfish, and blackfin tuna. Head out a little deeper to 600 or 1,000+ feet and chances are you’ll come across dolphin activity ranging from schoolie-size to over thirty pounds. Over in the Keys, dolphins are also quite active as well as deepwater tilefish and snapper when currents have eased up. 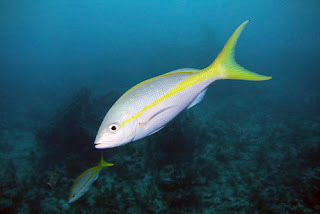 Yellowtail snapper has been especially good on the reefs while sailfish and kingfish are also being found in large numbers just outside the reef. Porgies, grouper, snapper and hogfish can be found on the patch reefs. Explore the Gulf and Florida Bay all the way to Flamingo to find snook by the shoreline. You may also have some luck finding tarpon but the bait typically used for catching these fish are being eaten by sharks.